In September 1861, a group of prominent business leaders formed a steering committee aimed at establishing the Victoria Chamber of Commerce, which would go on to spawn the B.C. Chamber of Commerce and Trade. The Victoria Chamber of Commerce was officially founded on Feb. 9, 1863 with a mandate for "everything south of the Malahat." Early board members met daily and began working immediately on behalf of its members to encourage gold escorts from the mines to do business in the banking and shipping centre that was Victoria. The Chamber rebranded as the Victoria Board of Trade from 1878 to 1920. During that time, The Chamber helped establish the New Westminster and Vancouver Boards of Trade. In 1920, The Chamber's name reverted to the Victoria Chamber of Commerce. In 1967, in recognition of our regional membership and approach, The Chamber adopted the present nomenclature, the Greater Victoria Chamber of Commerce. 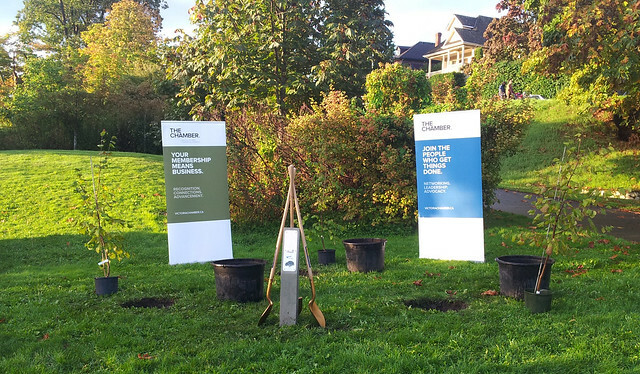 The Legacy Tree Planting project connected The Chamber’s past, present and future, through the planting of 150 native trees and the placements of a plaque along community trails throughout Greater Victoria, including the Selkirk Trans Canada Pavilion, Atkins, the Switch Bridge, and on Mt Newton. ​This project was supported through the donation of labour and maintenance by the Capital Regional District. 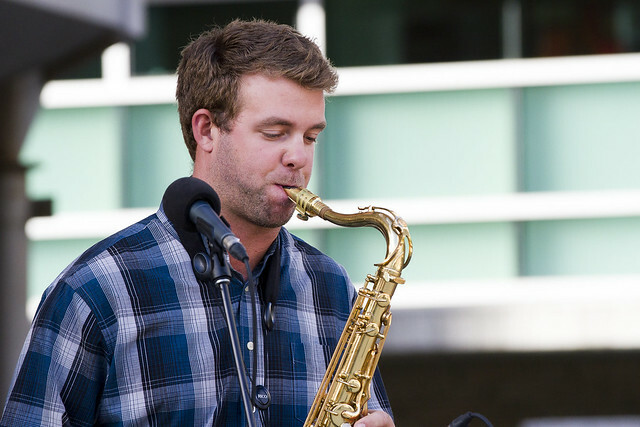 The Celebrations took place in historic Centennial Square, and featured artistic/heritage performances. Community partners, such as the Victoria Police, the Victoria Fire Department and various others, provided family friendly activities and many long-standing Chamber members participated in the square with market tents. Historic Walking Tours took place during the day giving attendees the opportunity to learn about our community’s rich heritage.